Se sera une vente exclusive en ligne et sur 7 jours seulement. Une nouvelle photo du bestiau ! Source = page fb de la Black LIb. ... (soupir) cette superbe reliure me fait de l'oeil, mais 50€... Mephiston par ADB j'aurais mangé des pâtes pendant un mois mais là ils ont crevé le plafond.. ce prix c'est la Twilight Zone. +1 Ghost, d'ailleurs ce David AnalAnnandale on sait qui c'est? Il est bon? Si ça avait été même 30 euros, je me serais surement laissé tenter, mais là...Une fois de plus, c'est vraiment dommage parce que je l'aime beaucoup cette fripouille de Mephiston. On y vient aux enluminures...on y vient. 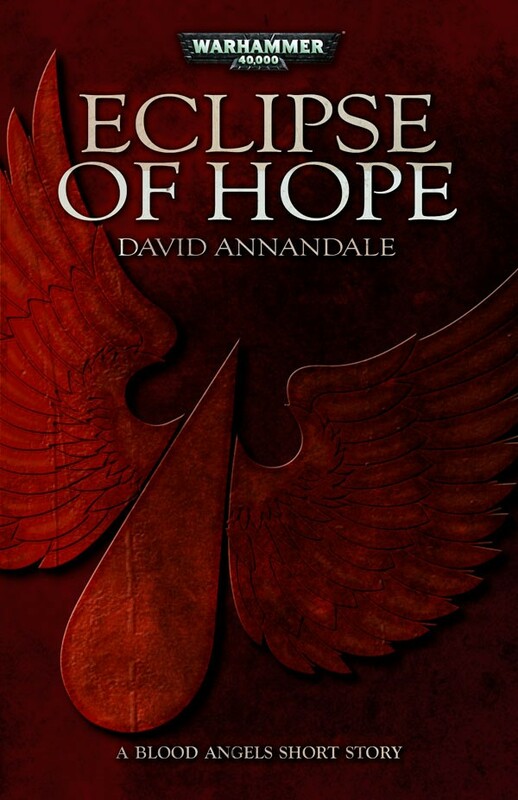 Annandale a déjà fait le 1er épisode (Eclipse of Hope) franchement moyen de mon point de vue; même en VO. @Emperor: le contenant au détriment du contenu! - Ghost of Arkio - a écrit: ce prix c'est la Twilight Zone. 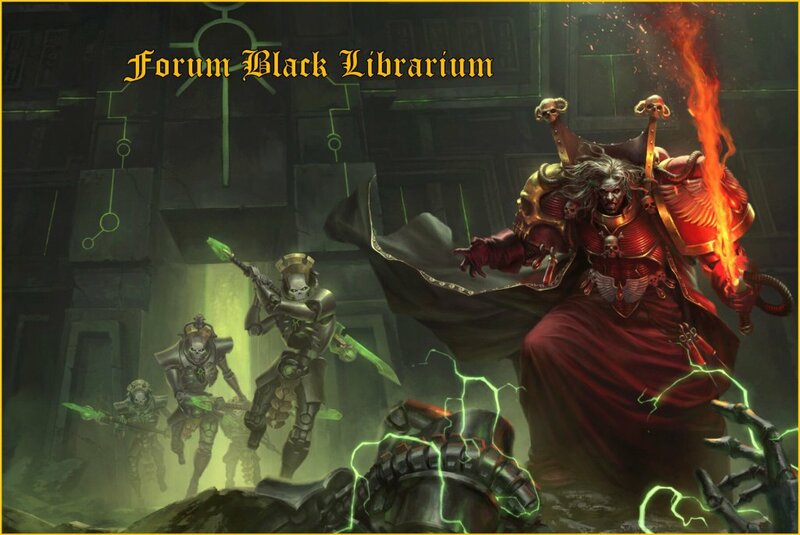 One of the things that makes writing for the Black Library so creatively exciting is that one is always being challenged. This was certainly the case when Nick Kyme asked me to write a novella about Mephiston, and he suggested doing so in the first person. That narrative voice creates a powerful sense of intimacy between the reader and the protagonist, and since Mephiston is, after all, at the centre of the story, I certainly wanted that connection. 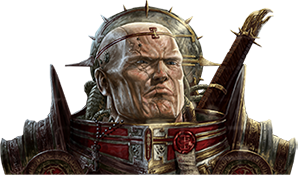 But at the same time, he is a being whose journey has taken him far beyond the realm of human experience, and indeed beyond that of his fellow Space Marines. He is a heroic figure, but he is also a dark, mysterious, threatening one. So my goal with the narration was to create a voice that was a bit strange and off-kilter, one that presented the world through eyes that were cold, penetrating, bordering on the inhuman. My hope is that even as the reader comes to know Mephiston better, he remains somehow alien and forbidding. I used this voice first in Eclipse of Hope, and I’m delighted that this short story is seeing a print incarnation as a chapbook accompaniment to the novella. 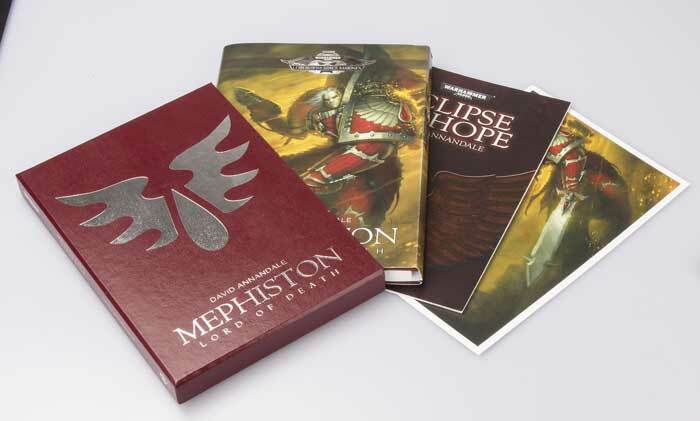 It sets the stage for the events of Mephiston: Lord of Death, so I would recommend reading it first, as a kind of appetiser before the main course of the novella. And on the subject of that main course, don’t mind my capering in the background as I contemplate the visual feast that is the presentation of the book. It’s a pretty wonderful thing for a writer to have a book appear in this form. When a book is a beautiful object in and of itself, that conveys a great honour to the story inside. At least, that’s what it feels like to me, and so I count myself doubly privileged to have had the opportunity to write this tale. 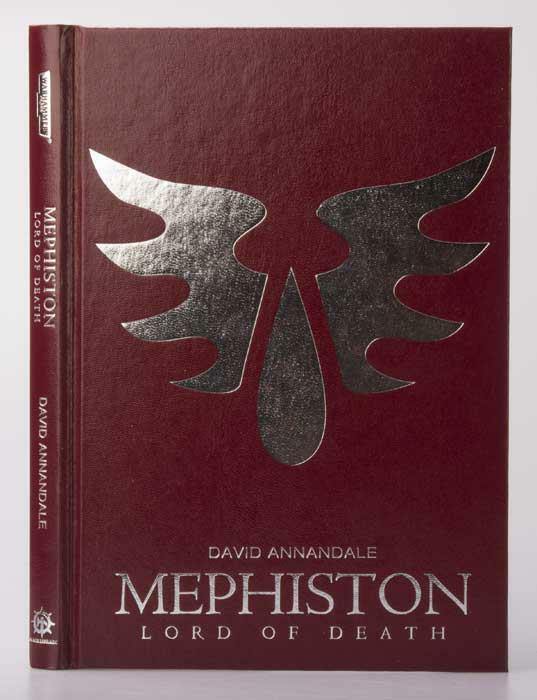 Hier, sur le blog de la Black LIbrary, mise en ligne d'un extrait de Mephiston, Lord of Death by David Annandale. Darkness is running through my hands. I feel its textures. I know its shifting from smooth to granular, soothing to jagged, calm to desperate. The dark has as many moods and faces and songs as any more mundane, more adulterated reality. It is as protean as the warp, but possesses a purity that the daemon-infested empyrean will never know. I am in something that might be called Limbo. I think of it as the embodiment of neither. It is neither real nor illusion, neither consciousness nor sleep, neither moral nor corrupt, neither materium nor warp. I am part of the neither, and I am separate from it. But the darkness is mine. It is in my hands. At any moment that I desire, I can grasp it. And then I can make it do things. When I do, I must face a truth: the dark and the warp are not separate. The warp fuels its potential. 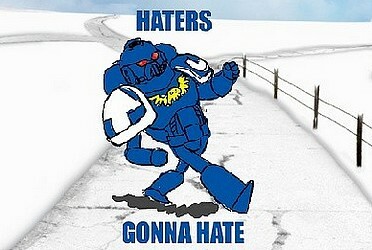 The warp fuels me. If I slip, the warp will take me. It will become me. But that has not happened, nor will it. This is what I must believe. If I fail, then I must consider myself damned, and this is something I will not do. But the reason I travel the dark, the reason I parse its ways and beings, is to discover what it is that I am. 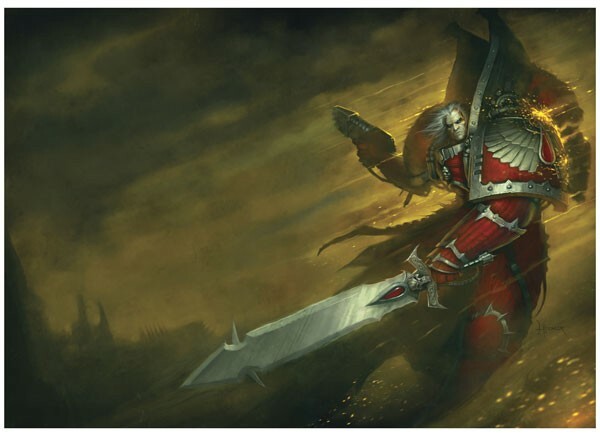 I once was Calistarius. He has been dead for many years. I stand in his place, with death in my right hand, darkness in my left, and I would know who this is who bears the name Mephiston. So it is not just darkness that is running through my hands. It is knowledge. And one of the grains may be the one I seek. The neither is non-space, and yet it has a place. It has an entry point, and outside of the neither, in the realm of the here, the gateway has a precise location. It exists aboard the strike cruiser Crimson Exhortation. It waits, barred to all but myself, in my quarters, in the upper reaches of the tower that rises amidships. My domain in the here is spacious compared to the cells that are sufficient to the needs of my battle-brothers. My quarters are large, but not because of any indulgence. They are large because of the archives. 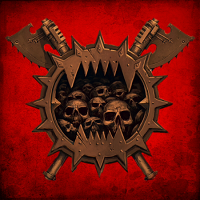 The primary chamber is a repository of banes. Scrolls, books, parchments and more are amassed here, all of them records of knowledge that kills, wisdom that blasts, philosophy that twists. These are dangerous objects. They can kill simply by existing. I am more dangerous than they are. It may be that I am also more blighted (but not damned, not damned outright). I do not know. I seek my understanding in the neither, and I seek it when I comb through those vaults of black thought. I remain disappointed. Beyond the archive, up another level, is my meditation chamber. This is a small space. It is empty, a lightless cylinder no more than three metres high and two wide, a coldness of black stone walls. This is the gateway. Pass through it, and space ends. In the liminal zone of the chamber itself, my body waits for my exploration to end. It waits while my mind weaves through the tapestry of the dark. Yet in the dark, I have a body, too. There is no consciousness without the idea of the physical self. I stretch out my hands. I do not see them, but I perceive them in the minutest detail. I flex my fingers, and touch the dark. It pours itself into and through my grasp. I will not find answers today. I know that with a certainty as perfect as death. But I also know, with the same certainty, that I must continue my search. I must seek to understand this thing that I now am. The day that I abandon my quest will be a terrible one indeed. I must remain wary of the being who touches the dark. The currents in the darkness become more defined. The slick of the warp spreads its stain. It forms sights, words, sounds, memories. An echo reaches for me: it is the insinuating rasp of M’kar. The image of the daemon prince is also there, fragmented, distorted and multiplied by the crystals of my prison on Solon V. You are of our party without knowing it. You walk the path. Know what you are. Embrace the revel. Enter the palace of wisdom. I denied him. I destroyed him. But his words will not die with him. He has bequeathed a legacy of doubt. I turn from it. I deny it, though I know I will meet those words again. In its stead, I follow another current, one of more immediate import. This is a flow that gathers strength the further I follow it. It tries to sweep me into its rushing turbulence, but though it wants my surrender, it conceals its nature. I sense its power. I sense that it is hurtling toward a maelstrom of terrible force. I know that there is purpose, but whether holy or corrupt, I cannot tell. There is also a physical destination, and this I can read. All too well. I nod. In the back of my mind, I can feel the immense twist of the vortex. It is here. We are deep inside it. We have come to the Pallevon system in answer to the call of one of our own. Everywhere and nowhere, the empyrean is flexing, twisting. The potential is transforming into the inevitable. An event prepares to be born. I cannot help but wonder if we have been summoned to our doom.